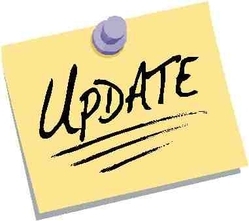 Did you know you could update your information on our website? Click here and use your family id (envelope number) to log-in. Please contact the parish office if you have any questions. American Catholic is for Catholics, Christians and seekers. Find Saint of the Day, daily meditations and Catholic news. Post prayer requests and send Catholic e-cards. Discover Catholic books, audio books and videos. Catholic Digest, the Catholic magazine for living your faith; Catholic magazine articles, discussion, and resources to enrich your Catholic faith and lifestyle. An exciting journal that presents the truths of the Catholic faith in a fresh, contemporary style. Our Sunday Visitor Catholic Publishing Company provides Catholics with a national weekly newspaper, Catholic magazines and bulletin inserts, books, pamphlets, and offering envelopes. This magazine is published monthly by the Claretians. Each publication usually offers several articles and interviews on a specific issue as well as other regular features.